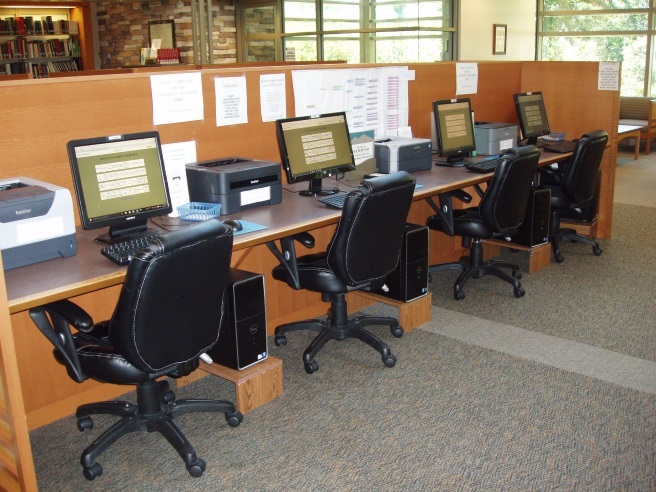 Our Research Center has four computers and four printers available for patron use. Wireless internet access is provided by the Mission Viejo Library and is available on those computers. SOCCGS has subscribed to Find My Past, My Heritage, Fold 3, Newspapers.com, Newspaper Archive, Genealogy Bank, British Newspaper Archive, American Ancestors, Billion Graves Plus, French Canadian Vitals (PRDH) and HistoryGeo. 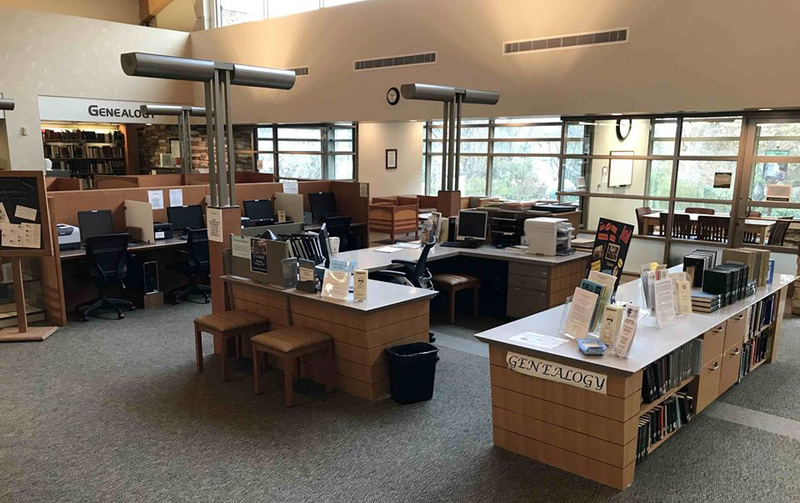 Mission Viejo Library has subscribed to Ancestry Library Edition and it is available on the SOCCGS computers as well as all library computers. Above is a picture of the docent's desk. One computer, which is connected to the internet, is available for the docent's use. Another computer is used for viewing our CD collection. A color printer and a copy machine is available for use by the docent. More docents are needed! Contact the Society Librarian.